Get things cool, ladylike and chic. 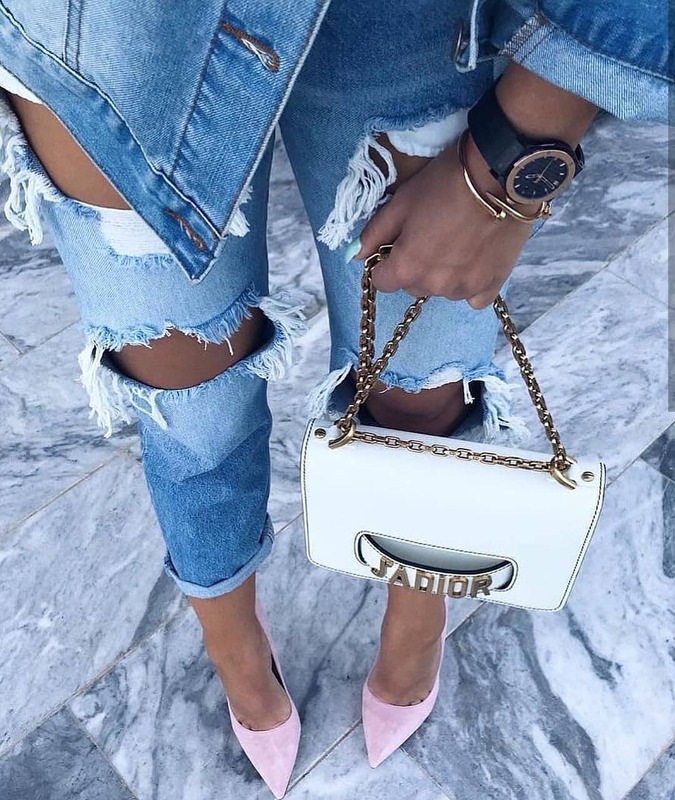 We see a casual double denim outfit with ripped jeans and oversized jacket completed with girlish blush heeled pumps and a white clutch bag with chain strap. 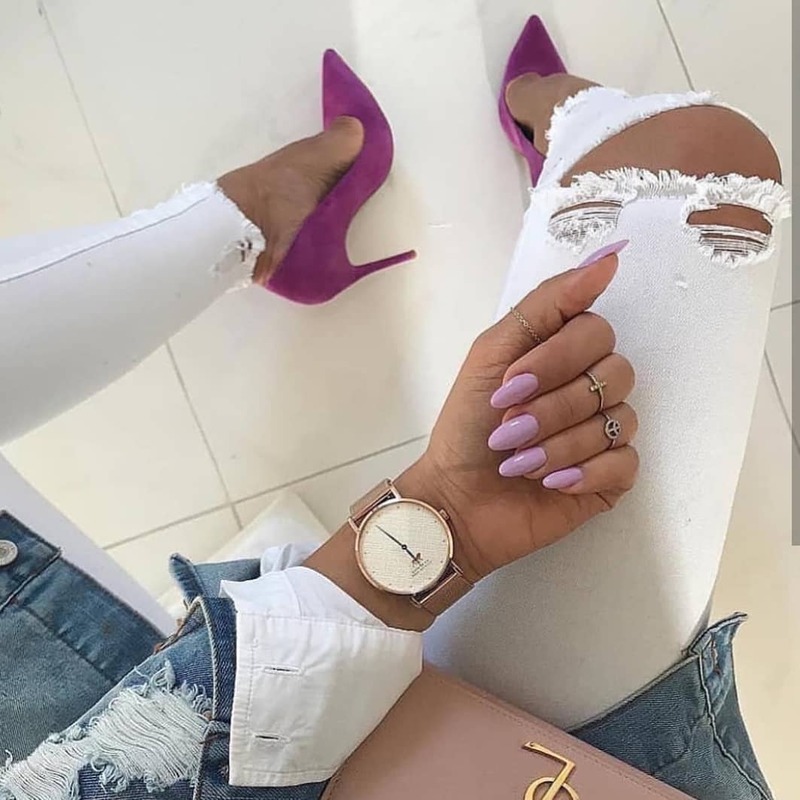 Get inspired by this fantastic outfit idea for the Summer season. 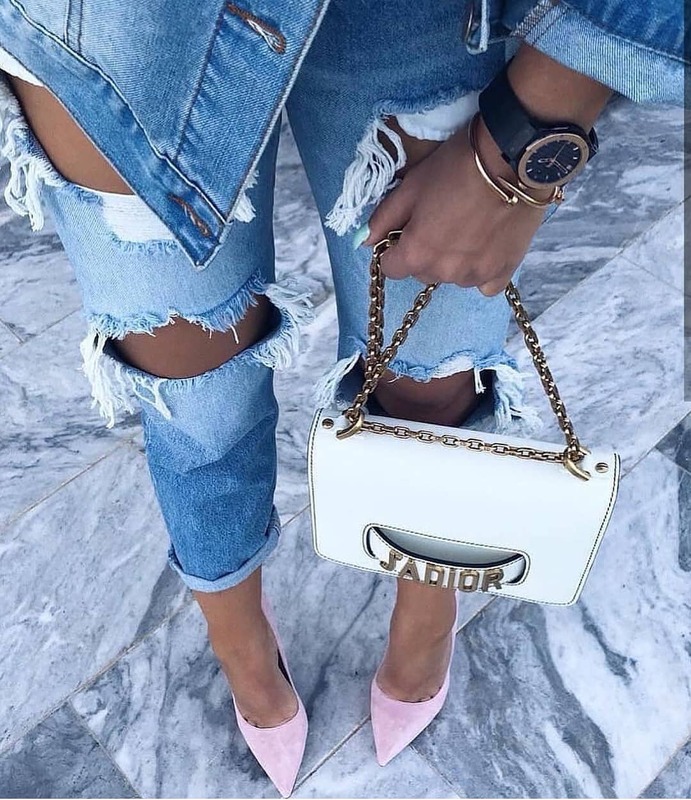 We see a double denim look that consists of an oversized denim jacket and ripped boyfriend jeans. The look is updated with blush heels and a white clutch bag. I do love to see young women who try a daring style. 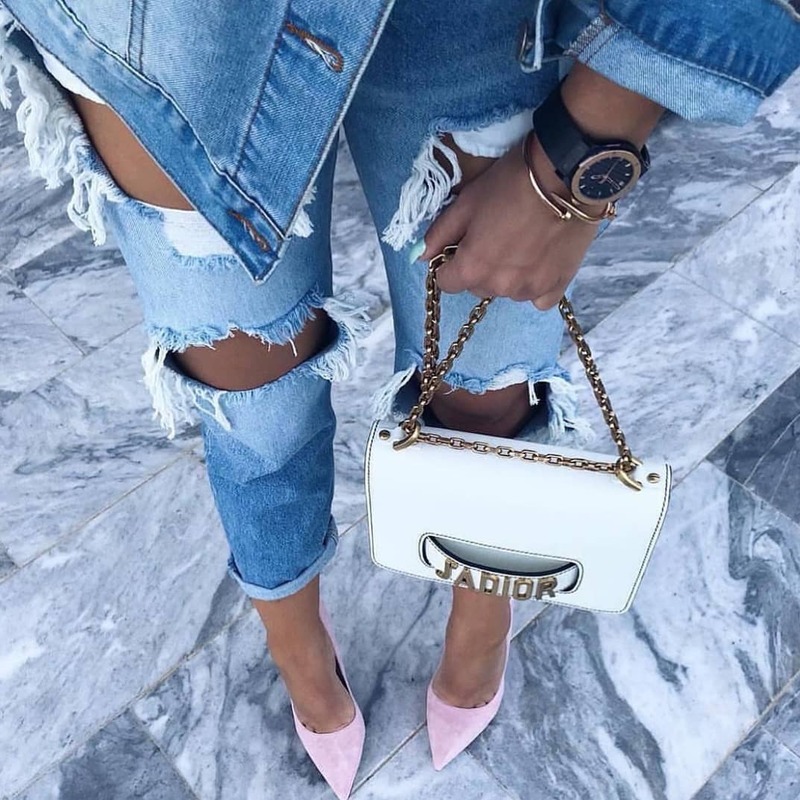 Go for ripped denim this Summer! 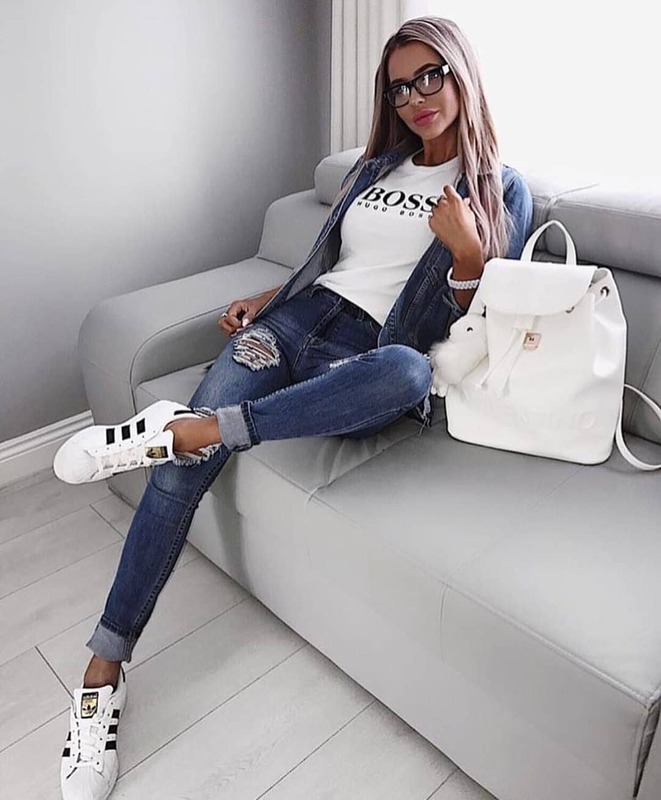 We see a stylish ripped double denim outfit idea that consists of a denim jacket and boyfriend jeans. Add blush tank top and blush heeled pumps. In love with these mirrored aviator sunglasses and a white clutch bag. Yes, double denim trend is still popular this Summer. I do recommend to give a try. Here we see an oversized denim jacket teamed with a white top and denim shorts. In love with that tasseled chain neckpiece and knitted tote bag.